"Oh Heart, it is hard to survive here, be careful, be aware, this is Bombay my love." -sings Johnnie Walker in the famous Bollywood film C.I.D, capturing the true essence of cities. Cities have been lauded as 'Mayapuri' (Land of Dreams) since forever, but what IS the reality beneath this notion? Youth in rural areas aspire for jobs in the cities but often miss out on the facts that the cost of living, and competition in the job market are also higher. We, Smruthi and Mahi, two students from Bangalore aspire to make this world a better place to live in. 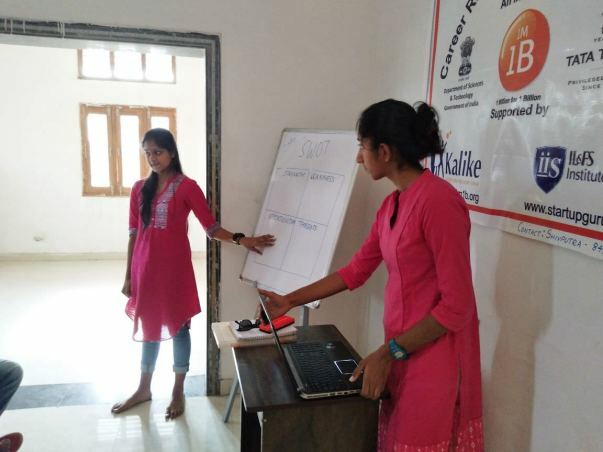 We are working as volunteers for 1M1B Foundation to create careers for the rural youth, as well as to increase entrepreneurship in rural areas of Bhimavaram , Andhra Pradesh and Yadgir, Karnataka. We are passionate about this cause and want to extend the resources that we possess to others to create a positive impact. ii. Apart from the fact that agriculture hosts disguised unemployment, as Yadgir is a drought prone area (thus making agriculture seasonal), the farmers along with their families often take a leap of faith and migrate to cities-barely making ends meet, getting unstable jobs and becoming migrant families. iii. Obtaining employment in urban areas far below their potential or qualifications leading to under employment. · Companies and firms in cities have vacancies that the rural youth themselves can fill if skilled. We did a gap analysis and aimed at bridging the rural-urban gap, thus broadening the opportunities available to them by providing them with the required soft skills training. We achieved this by contributing to an already established system put into place by two on-ground fellows in Yadgir. We provided them with soft skills training- which not only honed their skills, but also made them aware of the different opportunities present in the city, matched it with their aptitudes, and gave them confidence and clarity, which paved the way for SAFE AND HEALTHY MIGRATION. 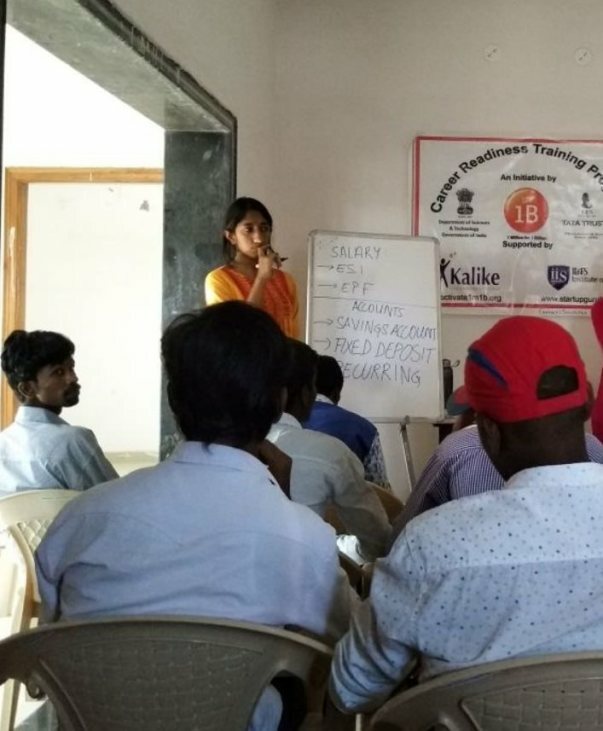 The skill development in Yadgir oversaw the training of 87 youth, and placement of 53 of them successfully in Bangalore, Mangalore, Gulbarga, Hyderabad and Yadgir itself. We are bringing 4 youths from Yadgir to Bangalore for interviews in the month of March. Also, we will consequently bring 30 youths from Bhimavaram in the next 3 months. · Further we are funding a rural entrepreneurship program in Bhimavaram. This entrepreneurship program, however has a twist, and is focused on helping the RURAL HIGH SCHOOL CHILDREN. This program, The Future Leaders Program, has a 45 hour curriculum which trains young minds to look at their community and solve problems with real life solutions. Projects that are creative, have made an impact in the community and has scope for expansion are going to be showcased by the young entrepreneurs in the United Nations Headquarters in New York, USA. 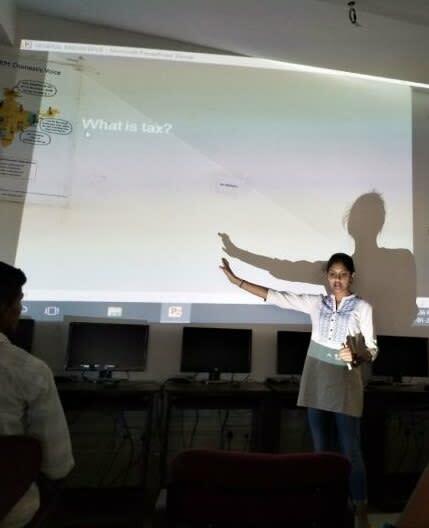 Having personally been part of the same training under this program that took place in the urban city of Bangalore, we, along with ten other students, can definitely vouch for how this curriculum, as well as the presentation in the UN, opened our eyes, broadened perspectives and developed our personalities immensely and helped us actually make a difference. This training will not only help address the community's problems, but will activate a whole generation of confident and capable rural youth who can live completely different lives from their predecessors and break the previous cycle, truly empowering rural India. As Gandhi rightly said, the future of India lies in its villages. YOUR contribution will be that small step leading towards a thousand-mile journey. YOU have the power to empower others. Wield it. Approximately 4.5 lakh- Money required for one rural 9th grader to participate in the program. Want to fund a minimum of 50 students. This is a cause we believe in. There are people who believe that their dreams are just dreams, nothing more. Belief is powerful for change..
YOU have the power to help bring people one step closer to their DREAMS. So, help us translate our IDEAS into ACTION, and DREAMS into REALITY by contributing! a) Sponsor select exceptional students who want to pursue their higher education but do not have the means to do so. b) Sponsor select youth entrepreneurs who want to set up their own start ups or businesses. c) Sponsor the job fair that is going to be conducted in Bangalore and Hyderabad for ITI and degrees students. Once again, we would like to thank your magnanimous contributions and generosity that has made a meaningful impact to the lives of the rural youth.